Internship Additive Manufacturing Standardization Studies – G.C.C. Description courte : TurboTech is a 50-50 joint venture founded by Safran Aircraft Engines (Safran AE) and Aero Engine Corporation of China – South Industry (AECC-SI), which aims at developing low pressure turbine and flame tube for a new generation of turboprop engine via advanced manufacture and numerical techniques. 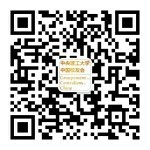 This is a 6 months internship in Beijing in Manufacturing Standardization Studies.